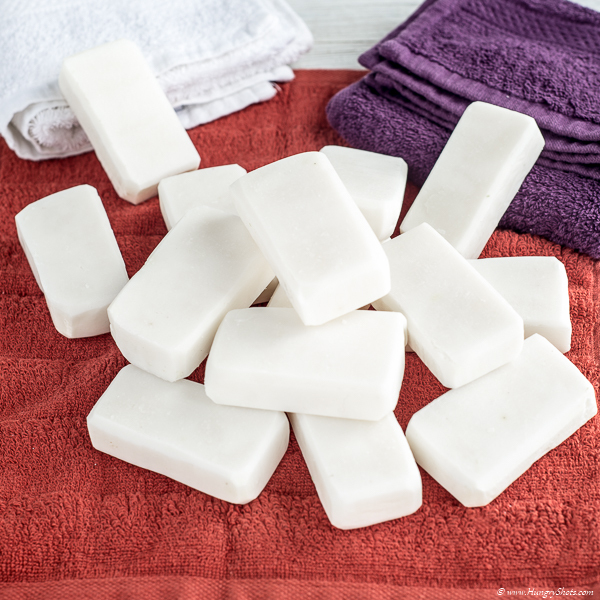 This is a very simple recipe that can be easily a normal hand soap or a laundry soap. This recipe has no fancy oil and no essential oil. If your intention is to use it to wash your hands then the recipe can be enriched. However, for laundry, I needed just a simple recipe. This soap gets hard very quickly, so needs to be cut in 2 hours after was poured in the mold. In one week is already cured and can be used. Why laundry soap? Well, I had in mind for a while to make my own washing detergent and one of the basic ingredients for this detergent is a soap like this. So, first on the list was the laundry soap. As you can imagine, by now, I have already made the washing detergent and use it, but this will come in another post.